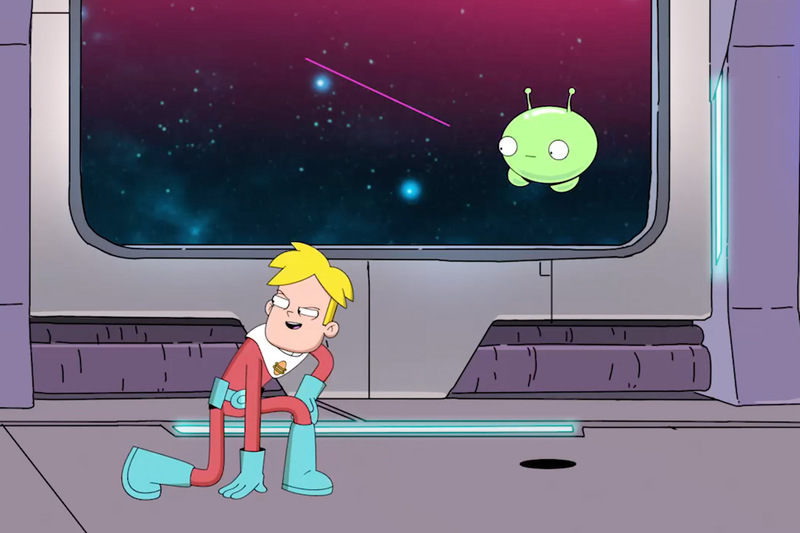 ”Final Space” is a new adult animated sci-fi comedy series from creator Olan Rogers. “Final Space” began as a short film titled “written by Rogers. It caught the attention of Conan O’ Brien, who now serves as an executive producer alongside Rogers. ”Final Space” follows an adventurous astronaut named Gary Space and his cute planet-destroying sidekick called Mooncake as they journey through space to unlock the mystery of where the universe actually ends, and if it actually does exist. Unfortunately, the evil Lord Commander is on their trail and seeks to get his hands on Mooncake’s awesome power. ”Final Space” provides a great amount laughs, visually appealing and gifted voice talent. Olan Rogers, Fred Armisen, Tom Kenny, David Tennant, Tika Sumpter, Steven Yeun and Coty Galloway all provide voiceovers. You can’t help but like the relationship between Gary and Mooncake and will want a Mooncake of your own. TBS wisely figured that out and already have Mooncake products available for pre-order. You can get a Mooncake pin, patch, poster or your very Mooncake plush. Now you can be like Gary and have an adorable sidekick for all your out of this world adventures. Be sure to watch ‘Final Space’ when it premieres on Monday, February 26th at 10:30 pm. PT/ET on TBS. For information, clips and exclusives for ‘Final Space,’ visit tbs.com/shows/final-space. Thanks for sharing the trailer. I have to check this show out. It looks like something that I would enjoy watching. What an interesting show. It sounds like it should be a hit with the adults. I love TBS programs. This show seems cool for adults that are into Sci-fi and animation. Since I have littles I’m constantly on the Disney channel lol. This isn’t the kind of thing that I watch, but my husband loves this kind of stuff so I will recommend it to him. Geez I haven’t watch animated tv series for a while, and I think I need to catch-up. Thanks for sharing your review, this one looks fun to watch.